We can offer the whole package, from supplying the Hot Tub, laying the base for the Hot Tub, laying the cable to supply electric to your Hot Tub, designing a bespoke gazebo for your Hot Tub. All this is done by one company so that everything runs quickly, smoothly and hassle free. 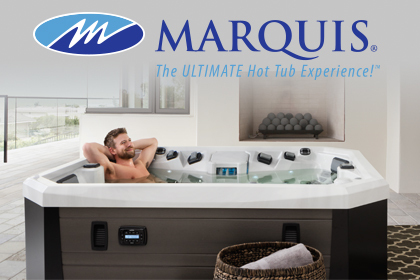 Come and visit our factory showroom and see for yourself what a Marquis Hot Tub is all about. 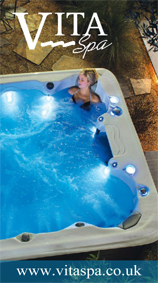 We currently have 5 Hot Tubs on display with one of them a full working model. We install all our Hot Tubs ourselves and please note that all our prices are including delivery & Installation, so all you have to do it sit back and relax. In some cases a crane is needed to complete the installation which will be sorted out once a site survey is completed.